Registering a large number of database systems to monitor one by one can become a time consuming process. Instead of adding one system at a time, you can add multiple systems at once using an import file. 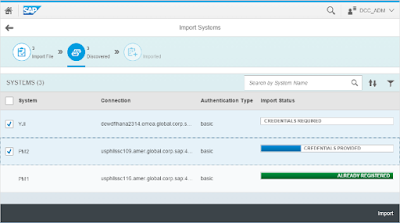 Note: This document was originally created by a former colleague of mine, Yuki Ji, in support of a customer engagement initiative regarding the SAP DB Control Center (DCC) product. To preserve this knowledge, the document was migrated to this space. 1. Configure Monitored Systems - Make sure to setup the technical user for each system you wish to configure. You will need the credentials of the technical user for import registration. 2. 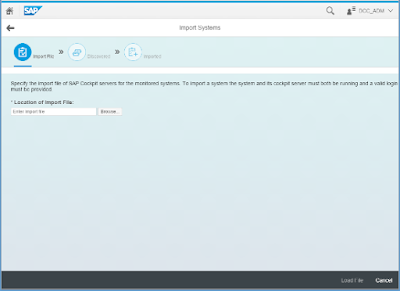 Create an Import File - Create an import file according to the format indicated in the link. Save the import file as either a .csv or a .txt file. In the import file you are able to omit system login IDs or passwords. 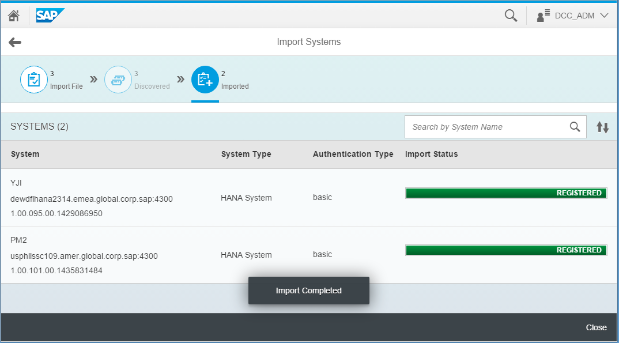 If you do so, SAP DCC prompts you during the import process for the missing information BUT it prompts you for only one user/password pair. The entered pair is then used for each system that is missing credentials for that import. 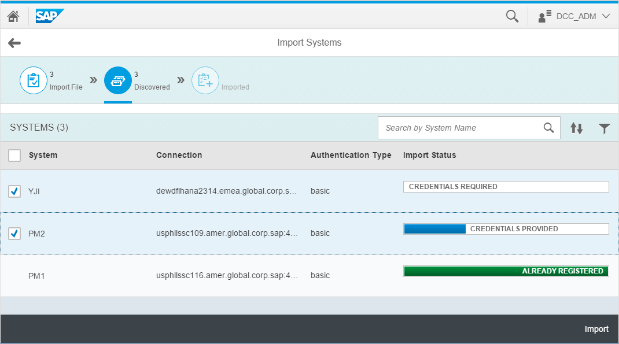 If you are importing multiple systems with unique user/password combinations, it is simplest to import the systems in separate operations or to include all the login credentials in the import file. 3. Login to DCC and open System Directory. In the bottom right corner of System Directory select Import Systems. 4. Select your Import file from your local system and click Load File to continue to the next step. 5. Below you will see that one of the systems we entered, PM1, has already been registered so no further actions can be taken for that system. For the other systems, PM2 and YJI we can see that we are missing credentials for system YJI. The credentials will be addressed in the next step. In this step we choose which systems we wish to continue registering. For this example I am selecting both PM2 and YJI. Note: If DCC is unable to find or connect to the system, or there is a typo in the import file, you will see the related error messages on this page. Some things to check initially: monitored system configuration, Import file spelling and inputs. 6. On selecting Import, because we have credentials missing we are asked to supply them. The window also give a reminder that the credentials entered here will be applied to all systems that do not already credentials supplied. The credentials I enter will be applied to system YJI. 7. 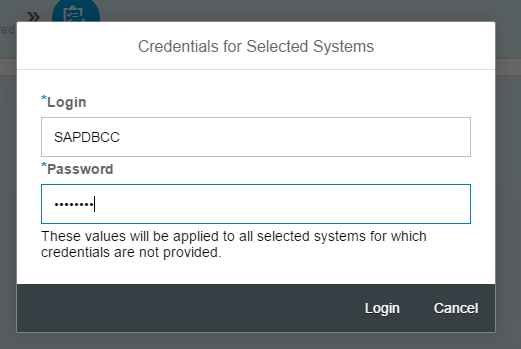 After clicking Login, if the credentials are correct the systems are registered! If after clicking Login the system is not registered, check the credentials you entered and whether they match the system..